I first taught “The Yellow Wallpaper” back in 2009 as part of a literature course on isolation. Since then, Gilman’s short story about her narrator’s descent into madness has been one of my favorite pieces of literature to read with students. Gilman was an outspoken proponent for women’s rights, particularly for education and economic independence. I think the facet of the story I enjoy most exploring with students is how Gilman makes her reader question whether only through madness can her narrator see the truth of her situation. If you are interested, here’s a brief biography of Gilman. Also, I found a reading of “TYW” available for free download from LibriVox. As you learned from reading Gilman’s explanation why she wrote “TYW,” she underwent a similar experience to that of her unnamed narrator. Suffering from postpartum depression, Gilman sought a popular treatment at the time, known as the “rest cure.” This “therapy” was pioneered by Silas Weir Mitchell. (You’ll remember that the narrator’s husband, John, warns her that if she does not improve he will send her to Mitchell. As the narrator says, “But I don’t want to go there at all. I had a friend who was in his hands once, and she says he is just like John and my brother, only more so” .) It is in response to her experience taking the rest cure that Gilman writes her classic tale. Before delving into the short story, it would probably be helpful to explain what exactly was the rest cure. 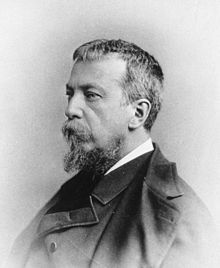 Weir served as a Civil War doctor, during which time he treated soldiers suffering from post-traumatic stress disorder. Based on this work, he developed a therapy for women suffering from hysteria. 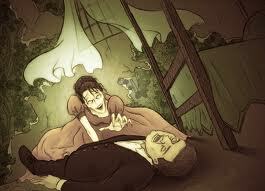 (Hysteria was a vague, now discredited diagnosis for any woman suffering from an emotional or anxiety disorder. John claims that the narrator claims to suffer from “a slight hysterical tendency” .) 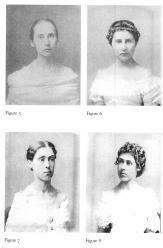 Essentially, the rest cure consisted of isolating the female patient from any social or intellectual activity, placing her on a diet of milk, and administering a series of massages and electrotherapy to prevent muscular atrophy. I found these before/after photos of Mitchell’s patients. Through her short story, Gilman depicts the rest cure as a way for male authority to control women’s intellectual endeavors. Throughout her isolation, the narrator is prohibited from writing, which ironically John sees as causing her mental breakdown. So you are aware, Mitchell was an outspoken opponent to women suffrage and university education, which he claimed made women unfit mothers and wives. The wallpaper in her room becomes central in the narrator’s descent into madness. She becomes fixated on it, especially the image that she finds in the pattern of a woman trapped behind bars. The best way to understand the narrator’s seeing the woman in the wallpaper is as an analogy to a Rorschach, or ink blot, test. 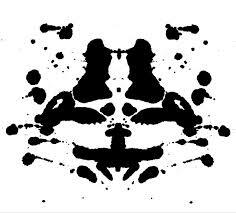 A Rorschach test works this way: a patient is shown a random ink blot that has no purposeful image and is then asked what s/he sees. Any image that the patient perceives is one that s/he imposes on the ink blot. The purpose of the Rorschach test then is not find out what image the ink blot may have but rather to have the patient reveal his/her own mental state. In a way, the ink blot is suppose to act as a mirror for the patient’s psyche. At night in any kind of light…[the pattern in the wallpaper] becomes bars! The outside pattern I mean, and the woman behind it is as plain as can be. The image the narrator sees of a woman trapped behind bars is meant to reflect something about her own condition. The question for us as readers is how is the narrator imprisoned. Moreover, we cannot rely on the narrator, since she does not directly see the truth of her situation. First, consider the house that she and John have rented. 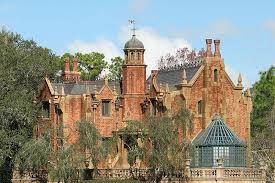 The narrator describes it as a colonial mansion, one that reminds her of a “haunted house”(655). Further, the narrator twice remarks that there is something “queer” or “strange” about the house but does not elaborate on why she thinks this. Even the room that she and John stay in, which she calls a nursery, is a bit odd. The narrator lets us know that there are bars on the windows, “rings and things” mounted to the wall, the wallpaper is ripped off in great pieces, and that the bedstead, which seems to have been chewed on, is nailed to the floor. (It is important to remember here that the narrator herself in her madness tears at the wallpaper and bites the bedpost.) It is interesting that she is under the belief that children had torn at the wallpaper. The description of her room suggests it being more like a prison cell or torture chamber than a nursery. Next, we need to examine the relationship that the narrator has with John, which I personally find really creepy! John takes on three different position of authority in the narrator’s life. First, he is her husband, but, more significant, he is also her doctor. As her doctor, John has a lot of control over the narrator: “If a physician of high standing, and one’s own husband, assures friends and relatives that there is really nothing the matter with one but temporary nervous depression – a slight hysterical tendency – what is one to do?” The narrator’s own thoughts about how the isolation from seeing others and writing is actually making her worse are constantly dismissed by John. Even in the beginning of the tale, the narrator suggests that the reason that she may not be getting better is because John is both her husband and doctor. (A question you may want to consider in your blog post is what do you make of the fact that the narrator’s brother is also a doctor.) Lastly, John talks to the narrator as if to a child. When the narrator does challenge John on whether she is improving or not, he calls her “little girl” and says “Bless her little heart!…she shall be as sick as she pleases.” He even requires her to take naps after meals (662). The irony here is that the care John sees himself giving to the narrator as husband, doctor, and father-like figure is entrapping and oppressing the narrator’s will and causing her insanity. The question I want to leave you with this week is what do you feel Gilman is trying to claim by having her narrator realize the ways she is imprisoned only after she has gone insane. Does Gilman seem to argue that the only way for a woman to achieve freedom from male authority is through madness? The next blog post will focus again on “TYW,” covering women and writing, the Gothic literary tradition, and the enigmatic ending to the story. This entry was posted in Uncategorized and tagged Charlotte Perkins Gilman, female confinement, Feminism, Gender, Gothic literature, madness, Short Story, The Rest Cure, The Yellow Wallpaper, women, Women Writers. Bookmark the permalink. I did not realize that Gilman had a similar experience to that she portrays in TYW, which is one of my favorite short stories. I’m glad you discussed John’s infantalizing of the narrator–I think this is one of the most interesting points of the story and that it has a very significant effect on the narrator’s health. 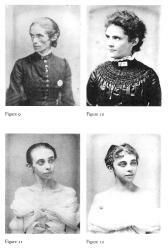 Those photos of Mitchell’s patients are fascinating, as well.